It was twenty years ago, and I walked the streets of Liverpool. I had nothing with me but a little camera and a tripod. I wandered without knowing why – I wanted to improve my photography and so I looked for pictures. Spotting something unusual, or a light coming out of a doorway – it felt great. Pure. I remember taking a picture of Nelson, near the grand pillars of the Walker Art Gallery. I was setting up, only to see a group of lads emerge from a nearby pub and begin walking towards me. They looked at me for a while, then shouted over: ‘Aye mate! You’re going to wait ages for him to smile at you.’ It’s one of the funniest things I’ve ever heard, and it still makes me smile to think about it. Sadly, those images are long lost but the memories remain. Flash forward to the present day (we need some sort of fade in and out at this point, like they do in the movies). 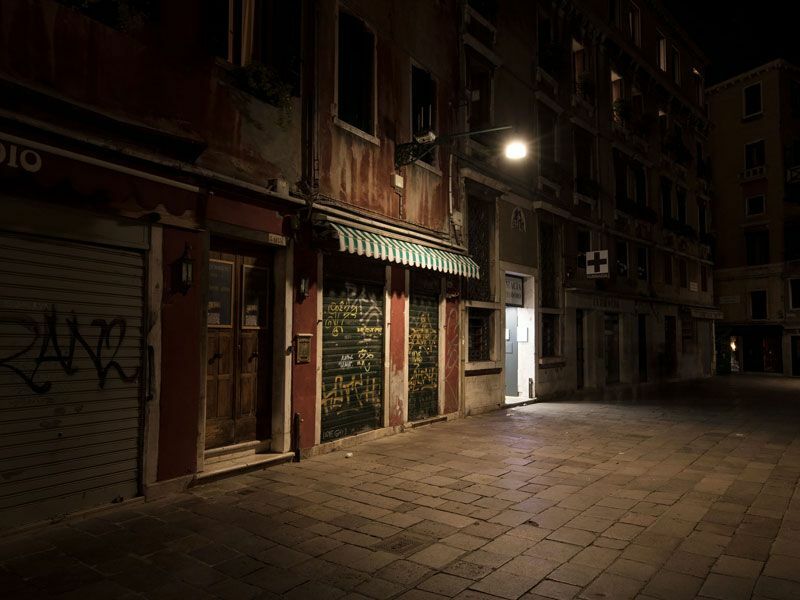 The opportunity to photograph Venice presents itself. I’ve wanted to wander around the city for years since watching the film Don’t Look Now with Donald Sutherland and Julie Christie. Upon arrival I had my list of the usual suspects at hand: the Rialto Bridge, gondolas, St. Mark’s Square etc. compiled after seeing the beautiful paintings and photographs on the internet of this most photographed of cities. On the first night I arrived very late. I got off the vaporetti (water bus) and tried to find my hotel. My jaw hit the floor with excitement as I walked around the wrong corner and nearly bumped into a lamppost just before a bridge; the wall next to it was crumbling and plaster had fell to the floor. Those nights wandering Liverpool flooded back – the reason I loved photography in the first place. I started making images there and then. I carried on with this late evening shooting throughout my trip. I’ve decided to call it Lost In Venice. No guide books, no phone; just me and a tripod, mostly to lean on. Getting lost and finding images in one of the world’s most beautiful cities. 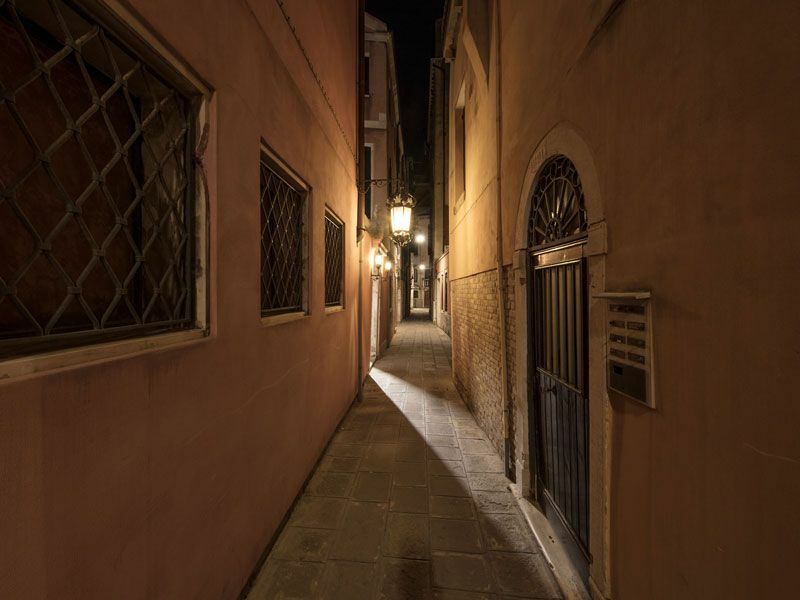 My hope is that they give you a real sense of Venice, the magic it portrays and the mystery it holds. I did have time to take the usual suspects in I hope a Swimstones kind of way. 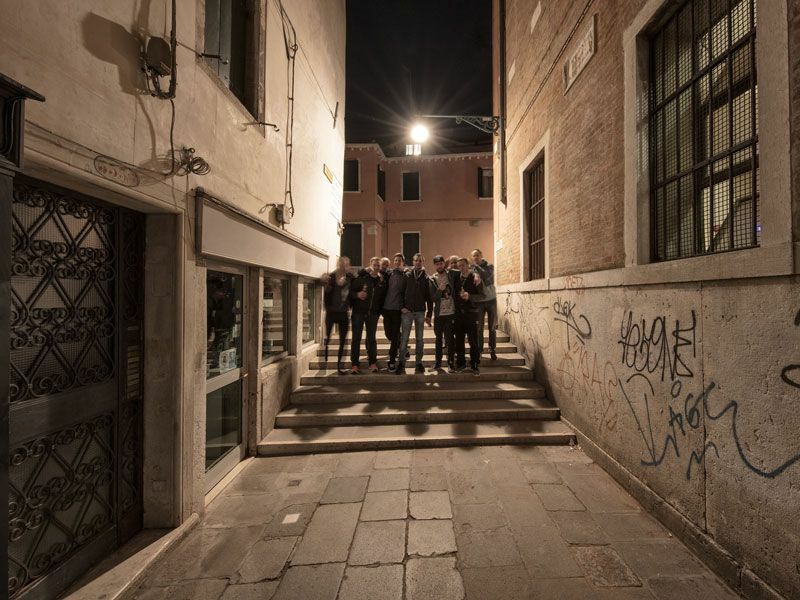 I met so many people wandering around while I was doing these lost in Venice images, from composers to parkour runners. I even met some people more than once (you know who you are). I also met photographers/image makers, and this was the most worrying part of my trip. Bear in mind I was robbed of my credit cards, money and my favourite wallet, that’s quite a feat. The photographers kept asking the same question. A question that I’ve never even contemplated. They didn’t ask how I get the long exposures, or how to get the sparkle in the lights. They didn’t want to know what lens to use, or what was the best angle. They all asked the same question: how do they make money from their images. One guy took what must have been fourteen pictures of the same bench – I swear he didn’t stop moving once, then moved onto the bridge next to me, catching his breath only to ask that same question. He took more time asking that question than he did composing his pictures. My answer was and will always be the same. I have no idea. I make images for me. For my wall, for my improvement as a photographer. If I can live with the image on my desk then it goes up on my website. It shows the photographic journey that I think all photographers are on. I do hope that someone will see something in my images. I hope an image resonates. Maybe it’s where they walk the dog. Maybe it’s where they’ve stayed on holiday for half their life. If they buy one I feel a sense of pride and it means I can carry on along my photographic journey – but it always has to be the creative image that comes first. 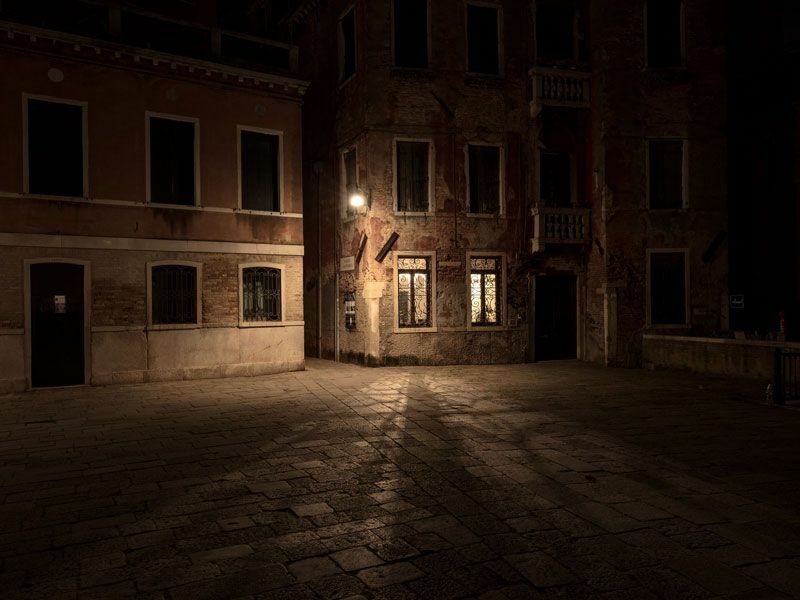 I worry that it’s not just tourists lost in Venice – it’s the photographers, image makers and content creators that have forgotten about making an image for them, not just for the money.